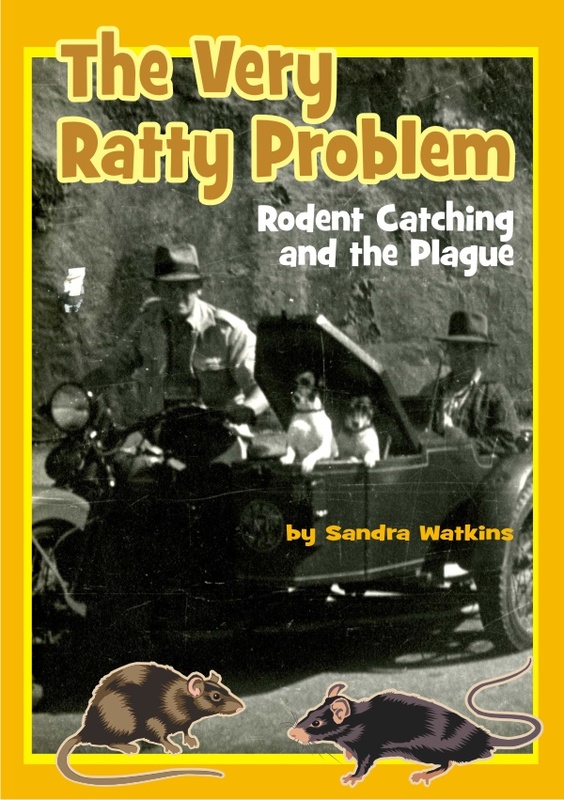 The Very Ratty Problem is a 16 page paperback written for newly independent readers of 5-7 years who are on the prowl for topics of high interest. This little book is an accurate and colourful, yet age-appropriate depiction of life in Brisbane town in the early 1900s when the plague arrived from Sydney. It contains information on rats, terriers, disease and people’s attempts to rid their town of sickness. There is an update featuring the Brisbane City Council’s current Pest Management team – two men and two terriers. The book also includes a glossary and ACARA history links. There are relevant activities on the For Teachers page. 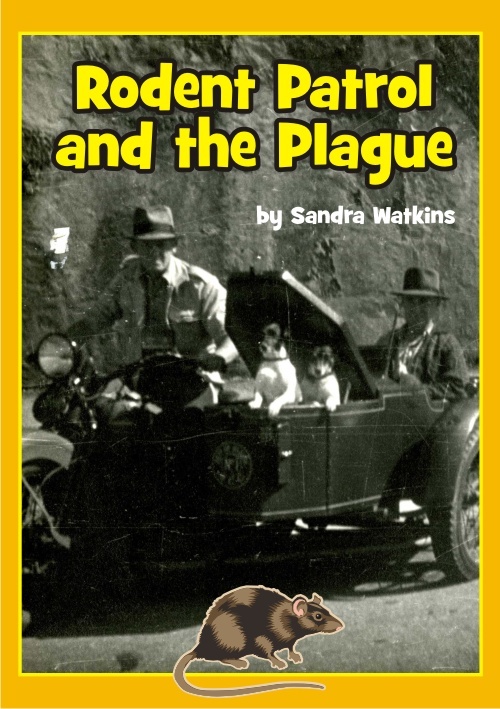 Rodent Patrol and the Plague is a 22 page in-depth look at the plague in Brisbane in the early 1900s for independent readers of 7-9 years who want more information and text, younger readers on a higher level or older readers on a lower level. Health officers were struggling to find out the cause and contain the plague, as well as convince the townspeople to clean up their act. Reading between the facts gives an impression of what life must have been like. This should initiate conversation about change; not just that things are done differently now, but how and why, and what that tells us about the people of the day and their thinking. There is an update featuring the Brisbane City Council’s Pest Management team and a fascinating bio of both fox terriers. The book also includes a glossary and ACARA history links. There are relevant activities on the For Teachers page. 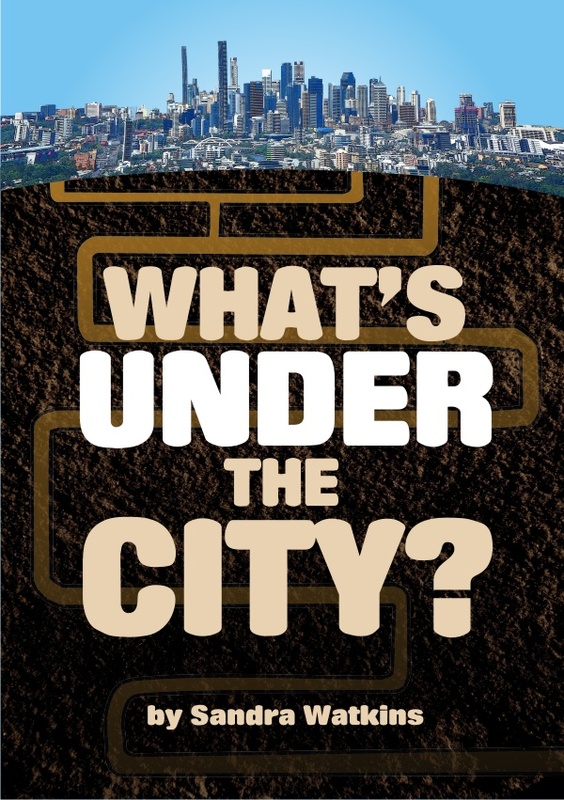 What’s under the City is a 32 page recount of things that are under the ground in a big city like Brisbane and what they tell us about the past. It’s written for 9-12 year olds who prefer machinery, graves, long dark tunnels and gold mines to cooking and bunny rabbits. Once you turn over the earth, you might dig up something that makes you wonder. You would think people and governments would remember what was there before, but this isn’t always the case. The construction of a bus way near Roma Street unearthed a war bunker. Underground cabling these days can be laid in narrow pipes but in the early years of the colony, inspections required a person to be able to gain access to tunnels, so they were much bigger…. and many of them are still there, right under your feet. Suncorp stadium was built on a graveyard. Using some original photographs it’s clear that underground was not for the faint hearted. The first steam roller was used in Brisbane in 1883, yet the Enoggera Dam was completed by 1866. How was something so big, dug, sealed and compacted without machinery? This and other anomalies are brought to light in this book, becoming excellent discussion starters. The book includes a glossary, History and English ACARA links and where to find out more information. Relevant activities are on the For Teachers page. The History of The Ekka is a 24 page paperback written for independent readers of 7-10 years who want more from their famous home town Ekka than just show bags and rides. It contains the lowdown across three eras, “Before 1900″, 1950s and 1960s” and “Now” for easy comparison. Similarities, differences, neat facts and some discussion-provoking questions enhance the factual research and colourful layout. Did you know the first sample bag contained a lump of coal and the first exhibit was a load of manure! Read on! The book also includes a glossary, ACARA history links and sources. There are relevant activities on the For Teachers page. 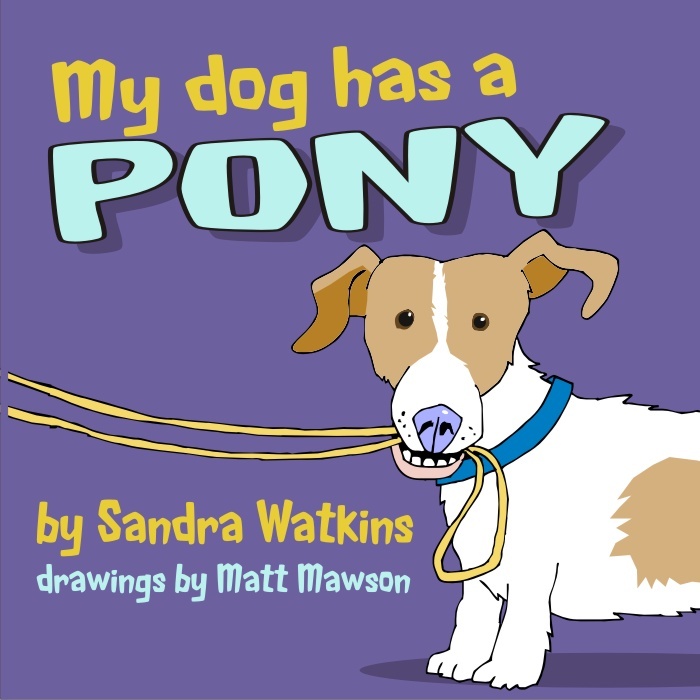 My Dog has a Pony is the story of an old dog who tells everyone he has a pony which no one has ever seen. Is it real or is he just making it up? The thoughtful colour illustrations provide some clues for sharp-eyed little ones who could read this book themselves or have someone else read it to them. Issues of elder tolerance and gentle teasing are also subtley present. Suitable for emergent readers or children with language processing difficulties.